With Bollywood, India has a thriving movie industry that’s known all around the world. On the other hand, the country also has one of the highest piracy rates, which is seen as a major threat by industry insiders. Following pressure from U.S. movie companies, India’s government recently agreed to update its Cinematograph Act to outlaw ‘cam’ piracy. Anyone recording or transmitting movies in a movie theater without permission now faces a three-year prison sentence. This change was welcomed by film industry insiders around the world. The Film Federation of India (FFI) is also happy, but the group notes that more may be required to effectively deter pirates. Supran Sen, Secretary General of the Film Federation told IANS that enforcement authorities haven’t been very helpful in the past. Therefore, they would like to see a special court where these ‘cam’ piracy cases can be handled. “We want the government to tackle the problem of piracy by creating special courts where our pleas can be considered seriously. Many a times when we approached police with complaints about issues like piracy, they ignored us,” Sen said. FFI’s Vice-President Ramesh Tekwani affirms the call for a special court and adds that mobile phones should be banned from movie theaters as well. ”[The] announcement is fine but people should be stopped from recording films by asking them to deposit their phones before entering theaters,” Tekwani said. ”One single phone can shoot the entire film. People also know different ways to record the film,” he added. 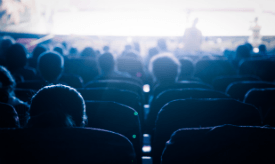 It is not uncommon for movie theaters to implement strict anti-piracy measures and the movie industry could mandate a phone ban of its own, if they can convince theaters to do so. While that will certainly burden the public at large, the Film Federation believes that it’s essential to get a grip on piracy. The question is, however, how ‘urgent’ this matter is at the moment. According to new data released by the International Intellectual Property Alliance, India-sourced ‘cam’ piracy has dropped drastically in recent years. Last year there were only two films that leaked from India, a significant drop compared to a year earlier. At the same time, unauthorized movie audio recordings decreased as well. “In 2018, there were two camcorded videos sourced to Indian theaters, down from ten in 2017. There were 23 illicit audio recordings sourced to Indian theaters last year, down from 36 in 2017,” IIPA notes. With thousands of cinema screens and more than two billion tickets sold per year, these numbers are relatively low for the world’s leading film market. That said, IIPA relies on data from the MPAA, and it’s unclear whether Bollywood films are counted as well. A quick search suggests that more than two Indian movies were cammed last year.